I love Human Nature! If you remember, I wrote a post about my Human Nature finds before. So I was so giddy when they sent me a packagre containing their latest products. 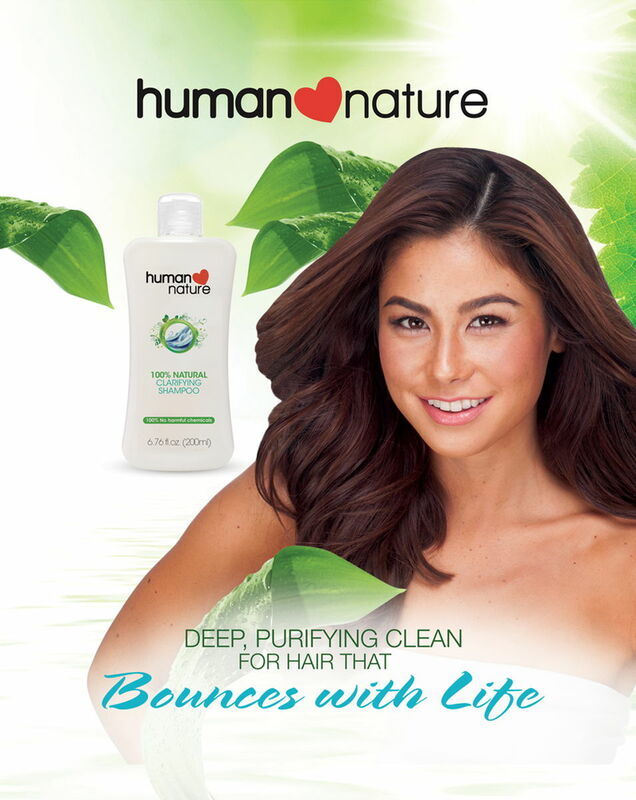 Human Nature 100% Natural Clarifying Shampoo is at 149.75 php 200ml and 319.75 php 500ml. Our 100% Natural Clarifying Shampoo in refreshing Green Apple scent is the latest addition to Human Nature’s expanding hair care line. Thanks to the innovative and dedicated researchers at the Human Nature Care Labs, they’ve discovered a breakthrough natural ingredient that not only provides a luxuriously foamy lather* that rivals those of chemical shampoos, but is also locally-sourced! Coco fatty acid sulfates, the ingredient used in Human Nature’s 100% Natural Clarifying Shampoo, are natural sulfates that give you rich lather that’s almostequal to the foamy lather you get from sodium lauryl sulfate (SLS) and sodium laureth sulfate (SLES) but are non-toxic, fully biodegradable and proudly manufactured in the Philippines!And because the natural goodness continues to overflow, its shampoo also contains all-natural fruit acids to help eliminate build-up and impurities while betaine and aloe vera soothe your scalp and moisturize your strands for hair that’s light, bouncy, and oh-so-soft! Notice that most clarifying shampoos in the market require their users to apply it only twice a week and not daily? Most chemicals used for deep cleansing do their job of stripping away impurities and build-up so well… they can go a little overboard! These chemicals can be so harsh they remove even the natural oils our scalp produces to make our strands naturally shiny and healthy. A bit scary, don’t you think? But with Human Nature’s 100% Natural Clarifying Shampoo, you don’t need to worry. It’s 100% free from harmful chemicals so you can use it every day and not have to worry about damaging your hair or over drying your scalp. So after a week of trying it, all I can say is that, I’ve got another shampoo to add to my staples. Yahoo! I love that it gives off a green apple scent (with a nice lather to boot) and when you smell your hair once it dries, it leaves a fresh-smelling scent and not that amoy-shampoo-level ha. I also like that unlike other clarifying shampoos, Human Nature’s doesn’t give my hair a squeaky clean feel that only indicates stripping not only impurities but I feel like some of my hair’s moisture as well. 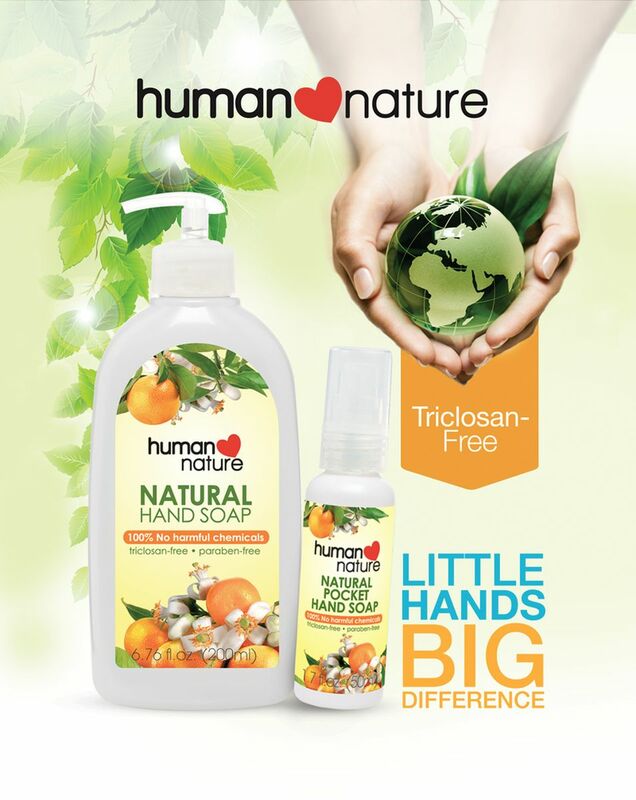 Human Nature’s Natural Hand Soap is at 59.75 php 50ml and 139.75 php 200ml. Human Nature’s Natural Hand Soap is 99.99% Natural and 100% free from harmful chemicals making it a safe alternative to chemical hand soaps! Its natural glycerin is non-drying to your hands and helps keep them soft and smooth. It also contains a naturally derived surfactant that effectively cleans your hands while keeping the environment clean and green. What’s even better is its locally-derived – which means you’re not just doing your body good, you’re doing the Philippine economy good, too! And did we mention that Human Nature offers small, refillable pocket-sized hand soaps too? Yep! It just keeps getting better and better. Because we know and we’ve all been there before, finding yourself in a public restroom with no soap to wash your hands with is not fun, so we suggest you buy one (or two) bottles of this handy-dandy savior. Don’t you hate it when sometimes you’re out and the restroom in a mall or restaurant you’re dinning in doesn’t have soap? Such a hassle sa massle (maka-rhym lang! muscle that is) so I always bring a pocket soap. Yes, I have become OC because of my kids. Good thing, my lil’ Ms. GJG loves washing her hands, this prompted me to let her try Human Nature’s Natural Hand Soap. She loves the smell that she keeps on referring it as the “orange soap” heehee. Human Nature Kids Natural Shampoo & Body Wash is at 44.75 php 50ml, 129.75 php 200ml and 289.75 php 500ml. Human Nature Kids Natural Shampoo & Body Wash is also mommy’s best friend as it is completely free from harmful chemicals such as SLS/SLES, triclosan, parabens and synthetic fragrances, whilst still removing dirt and grime to keep your little ones naturally fresh and clean. It’s made with a unique Protein Care System that helps keep your child’s hair healthy and skin soft and supple. 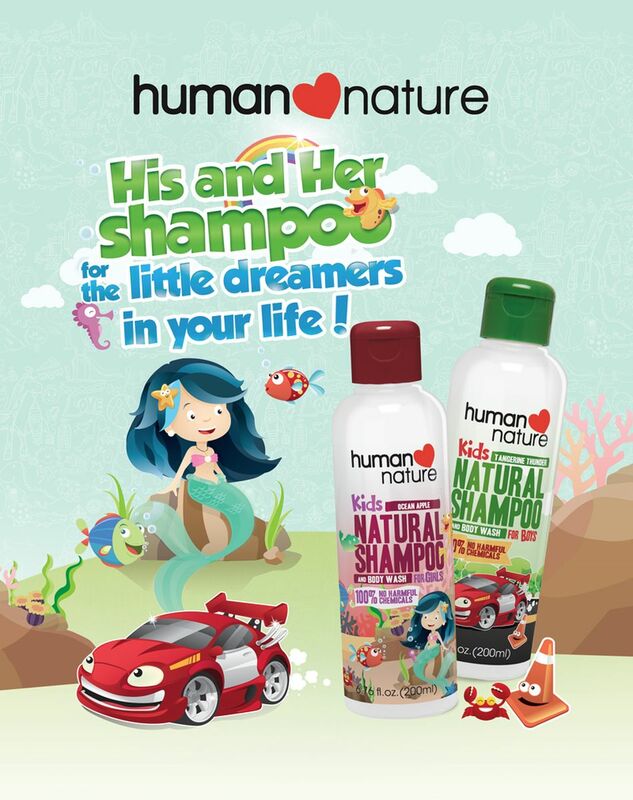 Good thing Human Nature has come up with a Natural Shampoo and Body Wash for kids that comes in yummy-scented Tangerine Thunder for boys and Ocean Apple for girls, an almost sure shot way to get the kids running TO the bath, and not away from it. A shampoo made especially for him and for her, it comes in fun a packaging that encourages kids to let their imaginations run free. Gabbie was giddy upon seeing Human Nature’s Natural Shampoo for kids. She immediately grabbed her “mermaid shampoo” and wanted to take a bath right away (I wonder where she got that? haha) She has very sensitive scalp so we have our staple shampoos for her and so far as of writing, she didn’t have any allergic reaction to it. Looks like, she’ll have another shampoo to include in her favorites. 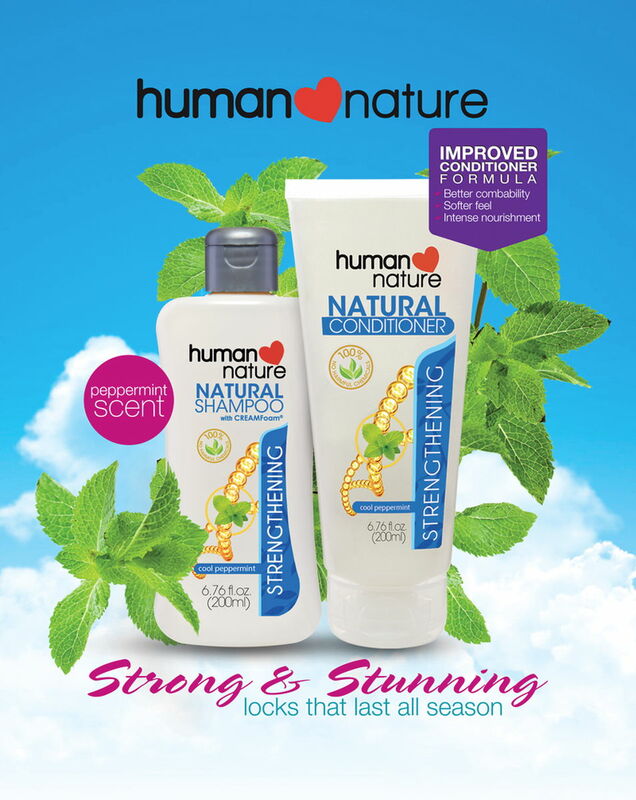 Human Nature’s Cool Peppermint Strengthening Conditioner is at 49.75 phh 50ml, 144.75 php 200ml and 299.75 php 500ml. Now with a new and improved formulation, Human Nature’s Cool Peppermint Strengthening Conditioner gives you softer and smoother hair with less tangles to worry about. It’s a rich fusion of soybean, avocado and sunflower oil that truly nourish your hair from roots to tips, keeping it soft and healthy. Topping it off with hydrolyzed wheat protein to fortify your hair, it helps protect it from much-dreaded hairfall. 99.5% Natural and, as always, 100% harmful chemical-free, our Cool Peppermint Natural Strengthening Conditioner makes sure to give you Only the Good and none of the bad stuff you see in most chemical conditioners. Many products claim to be natural but once you start reading their labels, you’ll see all these harmful ingredients like SLS/SLES, ALS/ALES, parabens (propyl, methyl, butyl or ethyl) and silicones! The way we see it, making the choice of using natural products is a long-term decision. Chemical-laden conditioners can make your hair soft and shiny now; but after many accumulated years, it can do more harm than good. Human Nature’s Cool Peppermint Strengthening Conditioner takes care of your hair’s health by putting nature’s best ingredients in a bottle. Human Nature is the Philippines’ largest brand of genuinely natural personal care and cosmetics products. Operating as a social enterprise, it is driven by the core philosophies of being PRO-PHILIPPINES, PRO-POOR and PRO-ENVIRONMENT. Founded in by Anna Meloto-Wilk and Camille Meloto, daughters of Gawad Kalinga founder Tony Meloto, Human Nature’s products are 100% made in the Philippines and 100% free from harmful chemicals. To learn more about Human Nature products and advocacy or to learn how to be a dealer, visit www.humanheartnature.com or your nearest Human Nature Branch, or call (02) 224-2224. You may also visit Rustans Supermarket and Shopwise for a select line of Human Nature products. Don’t forget to join my BLOG ANNIVERSARY GIVEAWAY, SM KIDS TOON FEST GIVEAWAY 1 & 2. “Happy Bloganniversay” i like this review about Human nature kasi im looking for a new shampoo brand for my son and fo myself syempre..